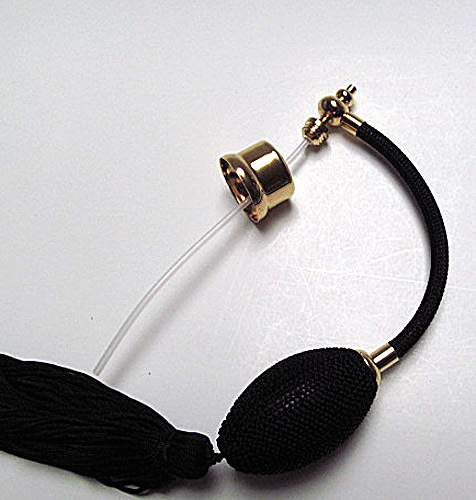 Atomizer sprayer top included the collar, cord, squeeze bulb and tassel as well as a small cap on the end of the cord. Varies color of bulb and tassel available. (Black, Pink, green, burgundy, Silver gray, gold, blue, white, Purple). The brass collar (cap) inner diameter: 23 mm (W) x 17 mm (H). suitable for the neck maximum 22 mm (W) x 15 mm (H).